A woman is in a serious condition after being found in water by Bognor Regis pier early this morning, police have said. 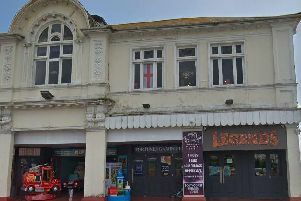 A spokesman for Sussex Police confirmed they had responded to reports of a woman in the sea at 2.13am. They added the woman, believed to be in her early twenties, was in the water for 'some time'. The spokesman added that police had arrived at the scene 'quite quickly' and began to assist coastguard and ambulance crews in spotting the woman in the water. Once found, paramedics dealt with the woman on the beach then the ambulance service took her to hospital.